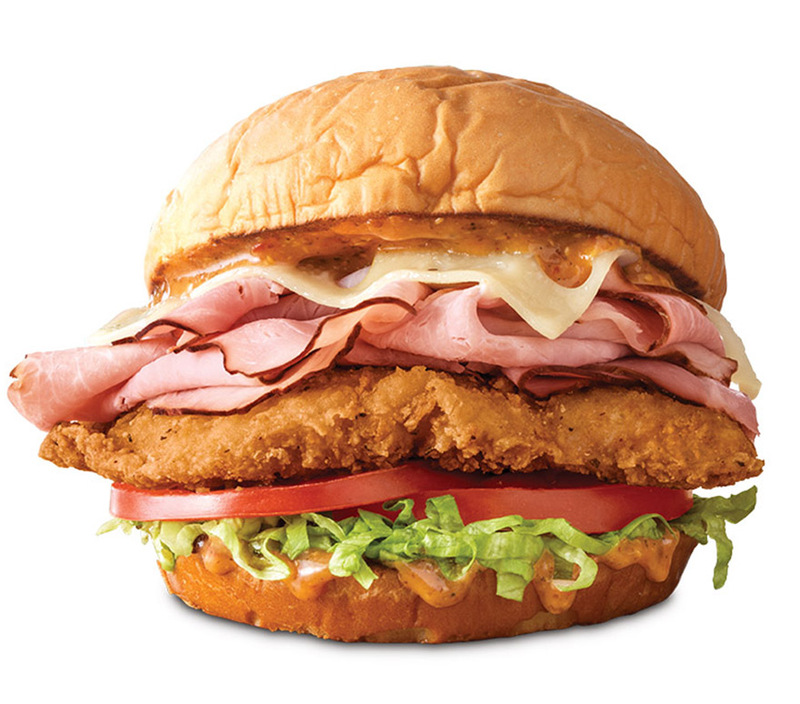 Say aloha to Arby’s KING’S HAWAIIAN® Sweet & Spicy Luau Chicken Sandwich. It’s crafted with crispy chicken, smoked ham, melted Swiss, lettuce, tomato, and a sweet and spicy pineapple habanero sauce, all between two KING’S HAWAIIAN® buns. Then when you’re finished, say aloha again. It also means goodbye, which is very confusing.